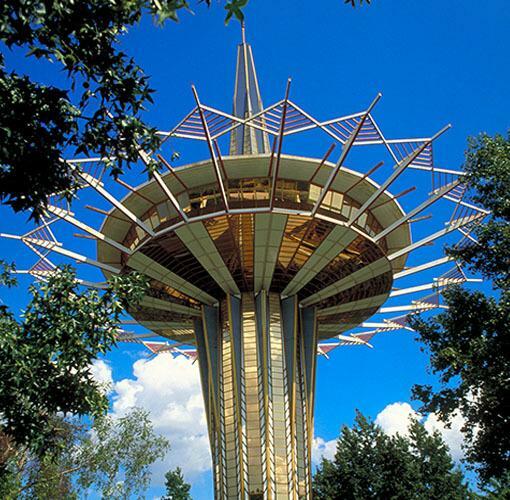 An icon recognized throughout the world, the Prayer Tower of Oral Roberts University is situated at the center of the campus to symbolize the importance of prayer. A separate area within the Prayer Tower houses the offices of the men's and women's chaplains. Graduate assistants for spiritual life will also work in this area. The newly renovated room embraces many styles of prayer. There is a large gathering area for corporate prayer, a partitioned area in the main room for small-group prayer, and four individual spaces for private prayer. The room includes a map of the world to foster a global perspective, and a large cross, created by the ORU art department to remind participants of Christ's sacrifice and to see the world through the cross.